UptimeRobot provides a free website monitoring service, supporting multiple monitoring types including HTTP, keyword, ping, and port. UptimeRobot triggers user defined alerts by monitoring websites. PagerTree acts as the dispatcher for these alerts, determining the right people to notify based on on-call schedules. PagerTree notifies them via email, sms, voice, and/or push notifications until the incident is acknowledged or closed. When a monitor is Down (alertTypeFriendlyName == 'Down') in UptimeRobot, an incident is created in PagerTree automatically. 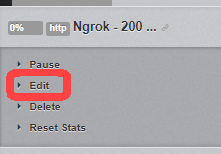 When a monitor is Up (alertTypeFriendlyName == 'Up') in UptimeRobot, the incident is resolved in PagerTree automatically. 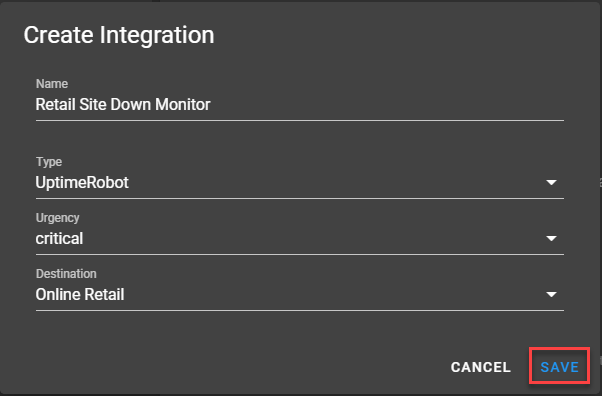 In this integration tutorial we will show you how to send alerts from UptimeRobot into PagerTree. The estimated time for this integration is 5 minutes. We assume that you already have a PagerTree and UptimeRobot account setup. 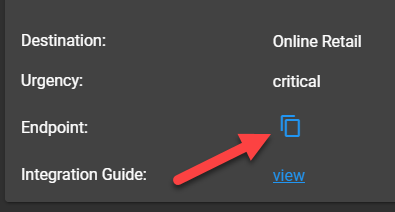 Click My Settings from the top navigation bar. 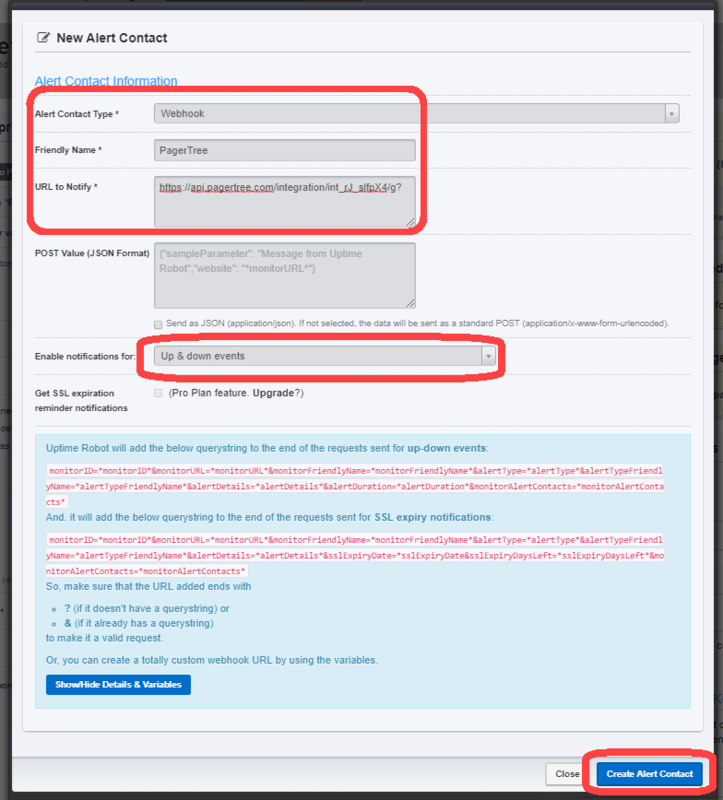 On the right hand side, under the Alert Contacts section, click the Add Alert Contact button.